Umarex Multi Shot Spinning Target | BUDK.com - Knives & Swords At The Lowest Prices! 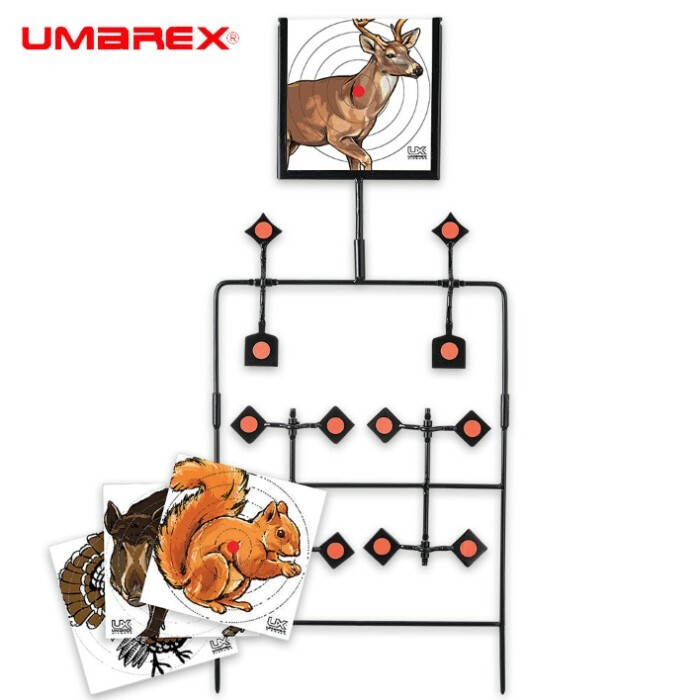 Brush up on your target practice with the Multi Shot Spinning Target presented by Umarex, which you know means high-quality. 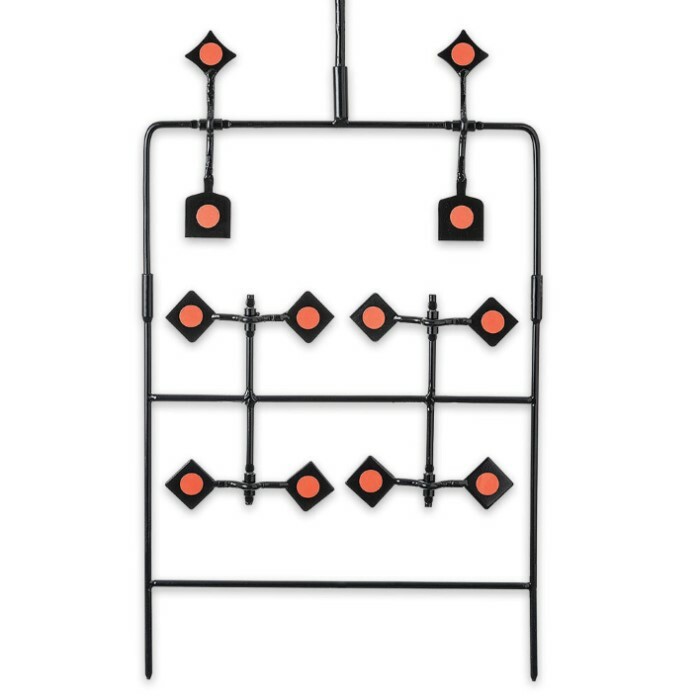 These spinning paper target brackets have a heavy steel construction and a simple stake set-up. You get 80 paper targets that portray deer, elk, hog, squirrel and turkey. Use them with .177 caliber and .22 caliber airguns.